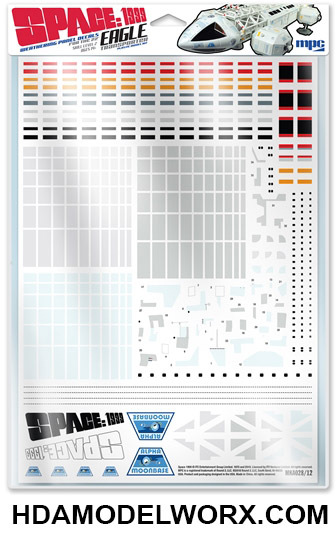 This decal sheet includes decals to accurately represent shaded and weathered panels, logos and hull markings as seen on the filming miniatures used in the program. Adds great detail to your model build! Replacement Decal set for U.S. MOON SHIP 1:96 Scale Model Kit by Lindberg.